Compramos este estudio para mis estudios en Greenwich, pero no lo utilizamos todo el tiempo y nos gustaría que otras personas disfruten de la sensacional experiencia de estar en Greenwich. En el estudio de la planta baja hay una televisión de pantalla plana, televisión por satélite, banda ancha, cocina totalmente equipada, lavadora, nevera / congelador y microondas. También hay un pequeño espacio patio. El aparcamiento está disponible por £ 4 por 24 hrs. Se trata de un sistema de tarjeta de cero por lo que la tarjeta de cero se debe dejar en el estudio a la salida. La cocina dispone de suministros básicos como el té, café, lavavajillas, etc, que se pueden utilizar. Hay un expresos de Tesco 20 yardas a través de Trafalgar Rd. Las toallas limpias y ropa de cama están incluidas. El estudio es autónomo por lo que es suyo por la duración de su estancia. No nos quedamos en el hotel. Se puede cocinar y utilizar nuestras bicicletas (a su propio riesgo!) para explorar la zona. Hay cascos y luces en el estudio. Greenwich es un patrimonio de la humanidad y es el hogar de muchos sitios históricos, como el Cutty Sark, Greenwich Museo Marítimo, Observatorio Real y el Antiguo Colegio Naval. Greenwich Park es un gran espacio abierto y está a sólo 5 minutos a pie. Maze Hill (sólo cuatro minutos) se conecta al puente de Londres (11 minutos) y la calle del cañón. estación de Greenwich DLR conecta a Canary Wharf (11 minutos). El Servicio de Clipper Támesis te puede llevar a todos los puntos a lo largo del río y por el oeste hasta Westminster y el London Eye. Un barco de este se lleva más allá de la arena O2. 2 bicicletas plegables están disponibles. Son bastante viejo, pero funcionan bien y se puede explorar los caminos de ambas orillas del río. Se pueden llevar en la góndola de O2 al lado norte, sin costo adicional. También se les puede rueda trasera a través del pie del túnel Cutty Sark (libre) y hay un sinfín de paseos en bicicleta a orillas del río en ambos lados del río. El uso de bicicletas es bajo su propio riesgo y cascos y luces son obligatorias. El check-in es después de las 2 p.m.
A great place to stay in London! 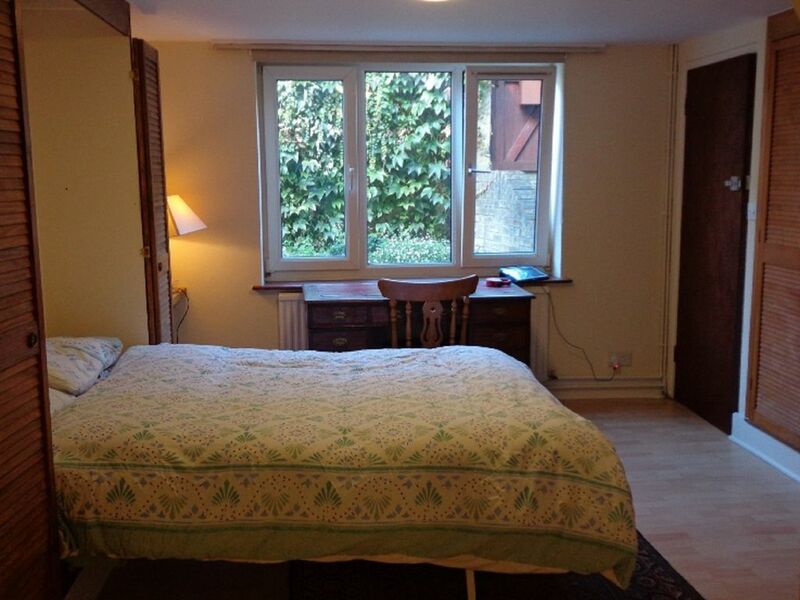 A really cozy, warm and welcoming studio to stay in that feels like your own private retreat in the heart of London. The historical maritime area of Greenwich is interesting to explore and access to London city is convenient and easy. Recommend going into London on the Thames Clipper for wonderful views of the sights, and an especially awesome approach to Tower Bridge. Nick's apartment suited me as it's safe, secure, easy to find and access, well-equipped and everything works. It makes you feel like a local, thanks Nick. We enjoyed our stay in Greenwich and wish we had more time to explore the local area. We especially appreciated Nick's recommendation of the Cutty Sark pub and restaurant. We had a wonderful stay at this cute flat in Greenwich. At the start there was a slight mix up but Nick dealt with this wonderfully and we are very grateful for this. Despite being right behind a main road, it was very quiet. The connections into the centre of London and walk to the park in Greenwich were very handy and quick. This also gave us several different travel options. The room was a bit stuffy as we were staying the in the middle of the heat wave but the ability to have a freezing shower was definitely beneficial! All in all, a wonderful stay - pity the trip went by to quickly! We really enjoyed our stay at this charming flat in Greenwich. It's a quiet place to regroup and refresh after a busy day of seeing the sights and manoeuvring through the crowds. Quite close (5-10 min walk) from a variety of transport; train, bus, water bus (Thames Clipper) that are all connected by the Oyster card. If visiting from abroad, highly recommend ordering a visitor Oyster card from Transport for London before your visit as you can't get one once in the UK if you're not a resident (or so I understand). A good variety of pubs, cafes and restaurants within walking distance. The owner (Nick) left lots of good instructions on how to work the various amenities within the flat. Would love to return some day. I stayed here for two glorious weeks in June. The location was exceptional; within 5 minutes of Maze Hill rail station and 15+ minutes of Cutty Sark DLR. The flat is just off the main road east of Greenwich yet was extremely quiet. Wi-fi was very good (a big plus for me) and there are shops within a few yards of the door - and a very good riverside pub a few minutes away. The location is close to all the Greenwich attractions like the Royal Observatory, Greenwich Park, and the Old Royal Naval College. Nick and Pippa left wine, milk and croissants for my arrival, which really made me feel at home. I would highly recommend Nick's place and am making plans to come back! I love it that you enjoyed the studio and most of all that you enjoyed Greenwich.